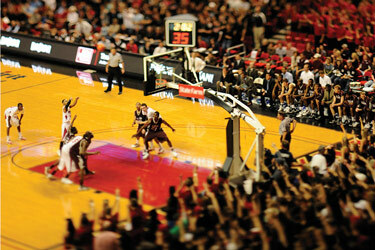 For many, Texas Tech University's greatest visibility is achieved through intercollegiate athletics. In every sport, our student athletes bring recognition to our university with their efforts on the field and in the classroom. They are our fearless champions. Unwavering in their loyalty to Texas Tech, they deserve an equal commitment from each of us. 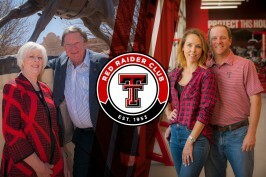 Gifts from McMahans, Wallachs part of Red Raider Club's annual impact on Texas Tech Athletics. Now is the time to keep our momentum strong and continue to build on these successes. The Campaign for Fearless Champions is a strong vision for the future growth of our athletic teams and a plan for investing in the future of our athletic programs. By enhancing our athletic facilities, investing in our scholarship endowments and growing the J.T. & Margaret Talkington Leadership Academy, this campaign will impact every student-athlete and ever sport at Texas Tech. Our competition and training facilities give us an advantage when recruiting prospective student-athletes and deliver the game day experience our fans expect. We have some of the best stadiums, arenas and fields in the Big 12, and we plan to keep them that way. Scholarships help us recruit top students and support the academic mission of Texas Tech. We want to make access to a first-rate college education available for even more student-athletes. 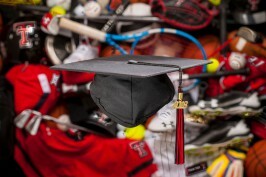 Preparing our student-athletes for life after graduation is a key part of our mission at Texas Tech. Our innovative approach to leadership development is one of the best in the country, and we want to keep making a difference. Reaching our campaign goals will take a new level of support from our alumni and fans. Every gift counts, and each gift brings us closer to realizing our vision for the future of Texas Tech Athletics. 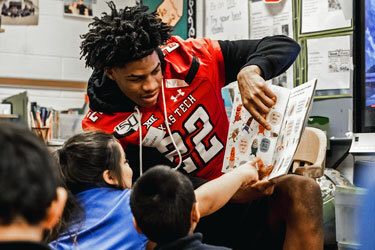 Your support is critical and by giving to The Campaign for Fearless Champions, you invest in the potential of our student-athletes and help Texas Tech Athletics continue to educate, serve and grow fearless champions. Help build new team and training facilities, fund student scholarships, or support the future of the Fearless Champions Leadership Academy. Every gift counts.